(TV Diner) - Everything from the décor to the menu is pure country at Parker`s Maple Barn in Mason, NH. Go for either breakfast or lunch, and enjoy homemade treats such as their cinnamon buns and Mexican omelets. Located just over the border from Massachusetts, Parker`s Maple Barn, in Mason, New Hampshire seemed to be a very popular country restaurant. Even with a seating capacity of 200, the Sunday morning waiting line was out the door of the huge barn. With a pure rustic motif, gingham curtains topped the windows while wooden buckets and antique farm tools dotted the walls. The extensive country cookin` menu offered plenty of maple flavored choices, along with huge breakfast plates and endless choices of side dishes, from ham hash, to cinnamon buns-enough to satisfy a lumber jack! We dug in with the maple baked beans served in a small bean pot. The mix of pea and kidney beans was delicious and sweet with dark maple syrup in this traditional New England dish. The perfect Mexican three egg omelet was folded over with salsa, peppers, onions and cheddar and presented with out-of-this world home fries---a plate that satisfied the eye and the palate. Flavored with malt, the thick Big Belgium Waffle was topped with a generous pile of blueberries and whipped cream. The maple syrup was so good we even dunked our bacon in it! Among the muffin choices, the apple cinnamon bran and the blueberry were fluffy and flavorful and definitely homemade. Service was efficient and everything arrived piping hot in spite of the incredibly busy morning. Prices were an excellent value for portions and quality with omelets $6 to $9, pancakes and waffles averaging $6 and pastries $2 to $4. Parker`s Maple Barn is family run and obviously enjoyed by customers who can choose from a wide variety of breakfast foods all day, or, lunch after 11:30. 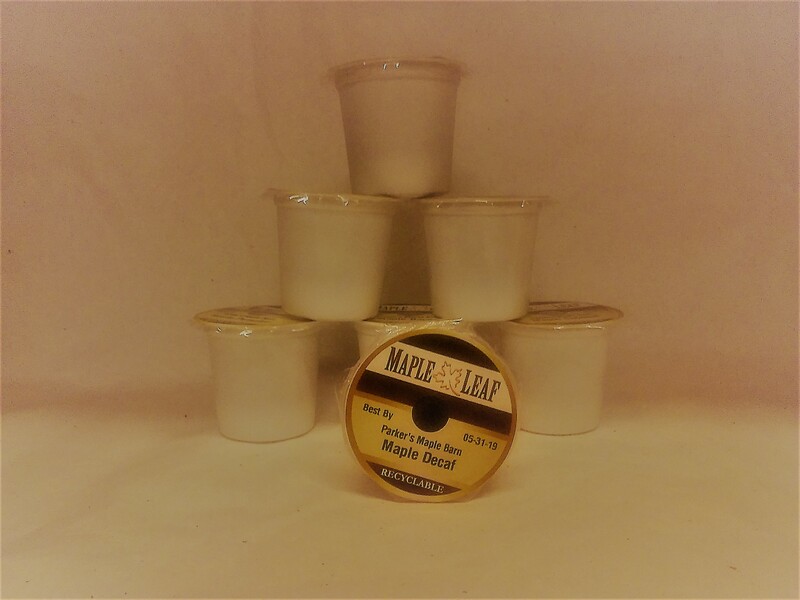 The coffee is delicious and even available in maple--- processed with syrup infused coffee beans! The ambience bustles with diners delighting in good old-fashioned down home cooking. The adjoining country store is chuck full of unique gifts and--- of course--- lots of maple products made on the premise---all adding to the fun visit here. Parker`s Maple Barn earns the Gold Plate. Located at 1316 Brookline Road in Mason, New Hampshire, it can be reached at 603-878-2308.